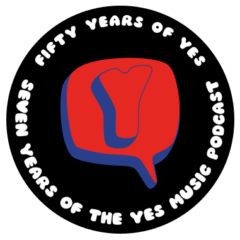 The twenty-seventh episode of the Yes Music Podcast featuring the compilation studio album, ‘Yesterdays’. Does this work as a collection of early Yes? Is it worth buying a copy? Listen and see if you agree with me then let me know by leaving a comment or contacting me via the different routes on the right hand side! If you are still listening to the podcast on the website, please consider subscribing so you don’t risk missing anything. You can subscribe with an RSS reader, with iTunes, via email updates or via www.stitcher.com. Thanks again, Paul. It’s a real shame not to have the full-sized art work nowadays on CDs – people are missing a lot. I also love the sound of the vinyl but I don’t have a working turntable at the moment!